Why My Website is Not Showing Up on Google Search? Blog » SEO » Why My Website is Not Showing Up on Google Search? You must be wondering what could cause your website to not show up in Google Search, right? There could be a lot of reasons. This post can help you index the website faster and resolve other Google Crawling issues. 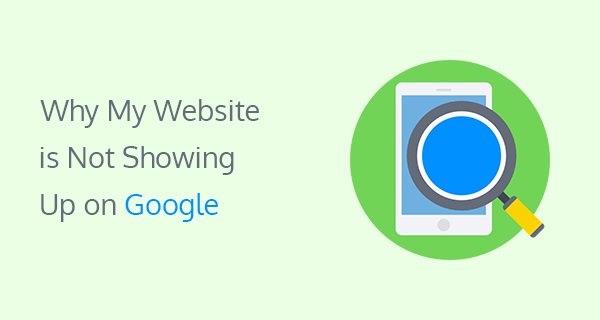 Why isn’t Your Website Showing Up on Google? If you created a website on a new domain name, Google will take some time to index your website. At least wait for 3 months to let Google and other search engines crawl your website. Any new website will take some time to get indexed properly on Google. Adding new content regularly and linking internally can help a site index faster. Replace https://example.com with your website’s actual domain name. You can also download those search results to excel spreadsheet. Your content is focused on very competitive keywords. There are authoritative websites in your niche, that have written content on the same topics as you. Targeting low competitive keywords can bring a small amount of traffic on your new website. When your website has built up some authority, you can target more competitive keywords. It happens rarely but it is a possibility that your website is either de-indexed from Google search or it is facing a manual spam action. Using black-hat SEO tactics or building bad backlinks can cause a website struck by Google algorithmic penalty. I would highly recommend using Google Search Console to monitor your website issues. Google Search Console will report if your website has been penalized or de-indexed from Google Search. Some content management systems by default set a no-index tag to a newly created website. Using Noindex tag you can tell Google do not index a particular page. So make sure to check for noindex tag in your content management system settings. If you are using WordPress, then you can go to Settings > Reading > Search Engine Visibility. Here make sure that this option is unchecked. A poorly coded website or using uncompressed high-quality images can cause a website to load slow. There are a lot of things that could slow down a website. Resolving these issues can help you increase your website speed and could help your website get indexed. Always compress images before uploading them to your website and use a caching plugin to speed up the website. Most small businesses fail to create content strategy, which is helpful to get your website more visitors. Your content should be entertaining, persuasive, and useful to your target audience. If people don’t stay on your website for long, Google will drop your website ranking because of high bounce rate. A low bounce rate is a good indicator that people are actually reading your content. That means your content is useful if you found your bounce rate too high, that means you need to improve quality of your content so more people can read your content. When it comes to SEO and website ranking, user experience matters a lot. 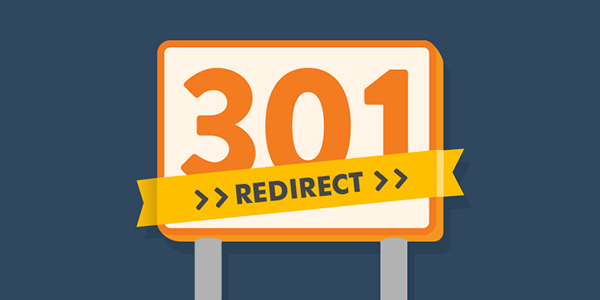 If your website is using too many redirects or using cloaking it could hurt your website ranking. Showing different content/URLs to users and search engines, it is a direct violation of Google Webmaster Guidelines and it could get your website de-indexed from Google. So make sure that your website pages are properly redirecting to the relevant pages. Another reason could be using doorway pages to hide the actual content. Google count it as manipulative SEO tactic that should be avoided at any cost. If a user clicks to a typical doorway page from search results page, the user will be redirected with a fast Meta refresh command to another page. You can use Google Search Console to check issues like these reported. Any website can be infected with a virus or get hacked. It is always a good practice to use security plugins/extensions or service. Google will derank your website or will de-index it if you don’t take proper action removing the malware or resolving hacked site as soon as possible. Also never use pirated themes, plugins, extensions on your website to avoid hacking and malware infections. I hope you find this post useful. You can check out On-page SEO tips for beginners and this small business SEO guide to improve your website ranking. Let me know your thoughts in the comments below.